Just a quick look through a bridal magazine can make any soon-to-be bride second guess every idea she has had for her special day. 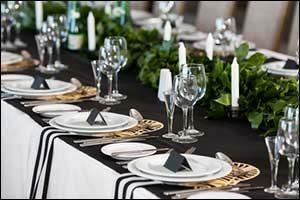 If you are ready to plan a wedding reception in MA but don’t know where to begin, the best suggestion is to start small. Work on picking the venue and then setting the date. In most situations, this is what gets the ball rolling. 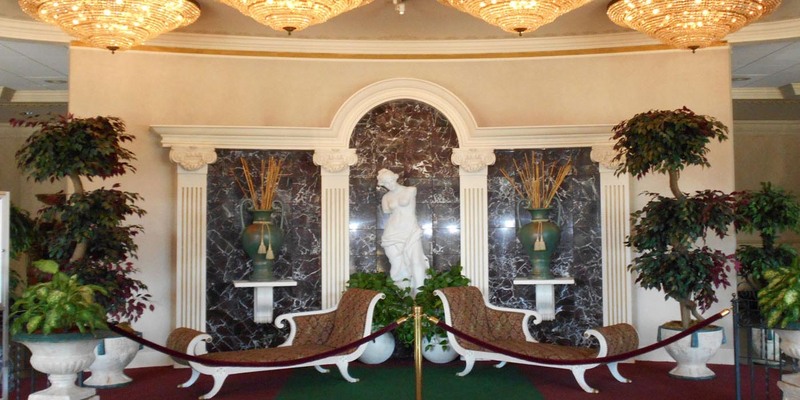 Take a tour of our premier venue at the world-famous Venus de Milo for all of your Swansea wedding reception planning needs. In addition to providing you with a gorgeous venue with enough space for you and all of your guests, we also have a wide range of amenities and options that you can choose to include with your custom wedding package. Unlike other venues that require couples to choose from package A, B, or C, we have a fully custom offering that allows you to choose the space you want and everything else from lighting to menus, linens to decorations and everything in between. We take pride in the fact that a majority of our couples who come to us do so after speaking with one of our past Venus brides. Our team of on-site social event coordinators will work with you every step of the way to make sure that you have everything you need for your special day. Check out our list of pre-vetted vendors to make outsourcing extra services even easier. With over five decades of experience as a top wedding venue in Southeastern Massachusetts and Rhode Island, we have earned a solid reputation for facilitating successful weddings. We can accommodate indoor and outdoor ceremonies, as well as multiple options for reception space. We have well-appointed bridal rooms and elegant ballrooms, which feature over-sized dance floors that you can use to celebrate your special day. We work hard to stay up on all of the latest trends and techniques to help you plan a wedding reception in MA that will surprise, entertain, and impress your guests. We meet with each couple for Swansea wedding reception planning designed to meet or exceed your expectations. One of the main reasons why we don’t push pre-packaged deals on our Venus brides is that we know most of those so-called deals are stuffed with things that nobody wants. Our goal is to provide maximum value without padding the budget because we know that our reputation is based on the experience that we deliver to each client. If you want to design a truly custom wedding that meets all of your needs, requirements and budget constraints, make sure to schedule a FREE consultation with our social event coordinators. Our planners have many years of experience working within the industry and have planned hundreds of large and small events at our beautiful South Coast facility. We have five elegant ballroom spaces, local sites for indoor and outdoor ceremonies, and beautiful bridal suites. On staff, we have some of the most experienced maitre d’s, talented culinary professionals, and we are proud to provide consistently excellent food and service. We work hard to spoil you and your guests to create an experience that you will never forget. When you plan a wedding reception in MA at Venus de Milo, you can expect to get elegance, quality, service and value, no matter how large or small your party. Visit our website to see videos and photos of past Venus weddings or give us a call to take a tour of our venue at your convenience. We can answer any questions you might have and assist in picking a date. Our event staff can help you get started with all of the things you need to plan a successful wedding. Thanks to our many years of working in the local area, we have an extensive contact list of professional vendors who can help fill in the blanks and provide you with the services you require. Photographers, videographers, photo booth operators, and entertainment to include DJs, emcees, and live bands. We also have connections with local florists, wedding planners, decoration specialists, and other businesses that can help you have the wedding of your dreams. Give us a call at 508-678-3901 to schedule a tour of our facility.